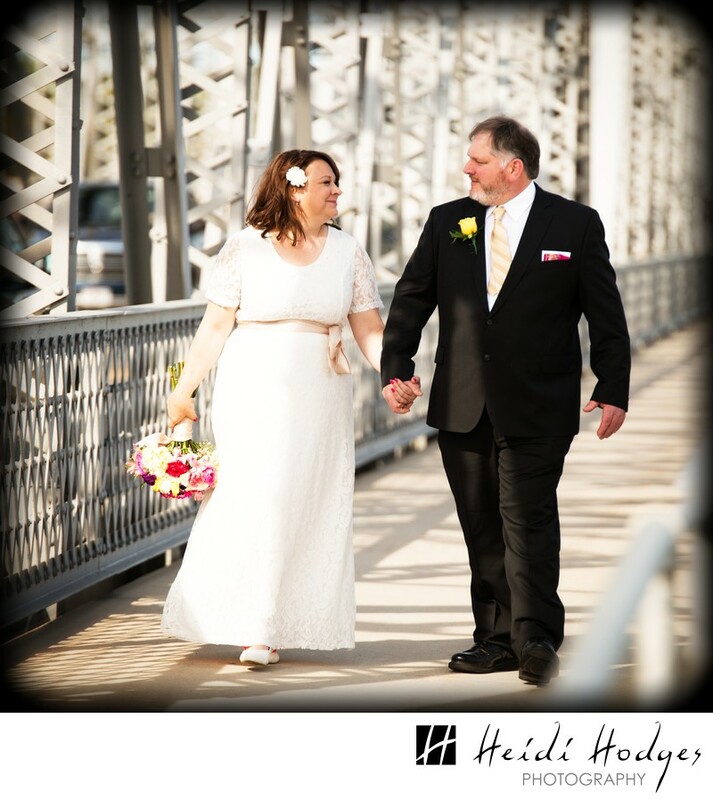 The bridal couple taking a walk across the historic Michigan Street steel bridge in Sturgeon Bay during a gorgeous spring wedding at the White Lace Inn. The couple did portraits before the ceremony, then made their way to the Inn, with their children, where they were pronounced husband and wife. Location: Michigan Street, Sturgeon Bay, Wisconsin. 1/2500; f/3.2; ISO 200; 195.0 mm.